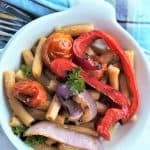 Garlic Lentil Vegetable Pasta. Vegan, gluten free, dairy free. 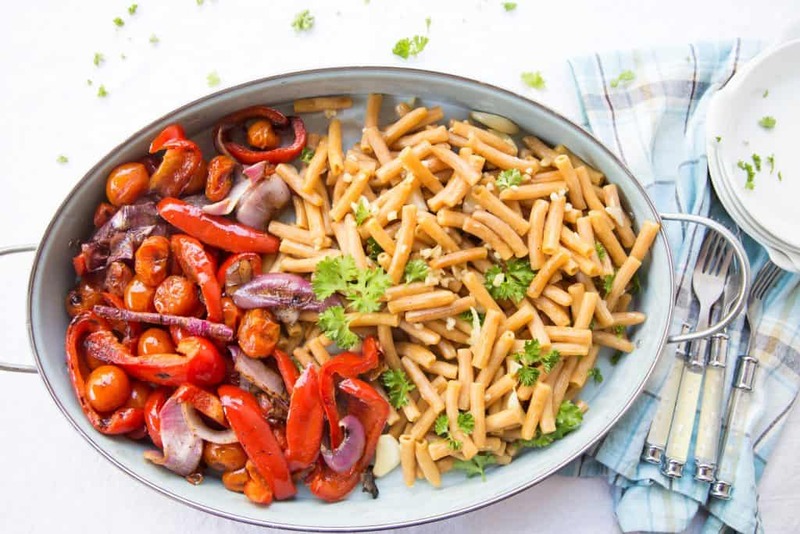 Garlic Lentil Vegetable Pasta. 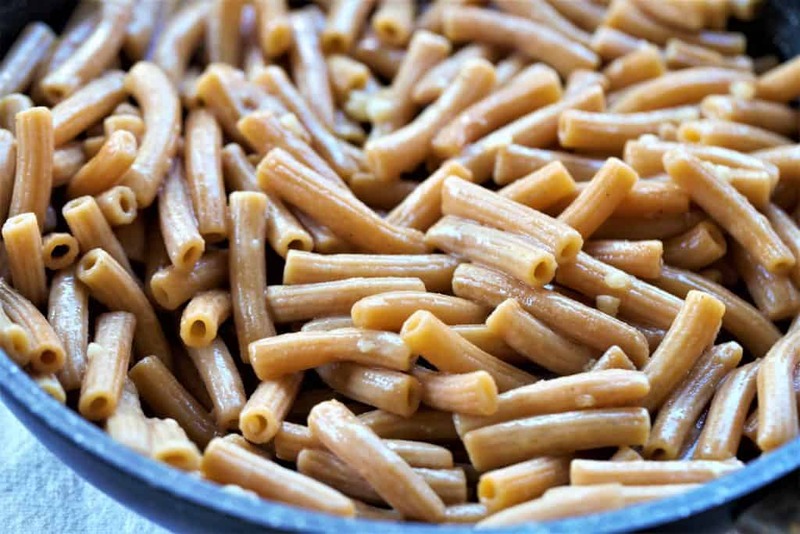 Lentil pasta, full of protein and fiber is deliciously enhanced with a few simple ingredients. Adding olive oil, salt and minced fresh garlic, the pasta alone is a flavor treat. 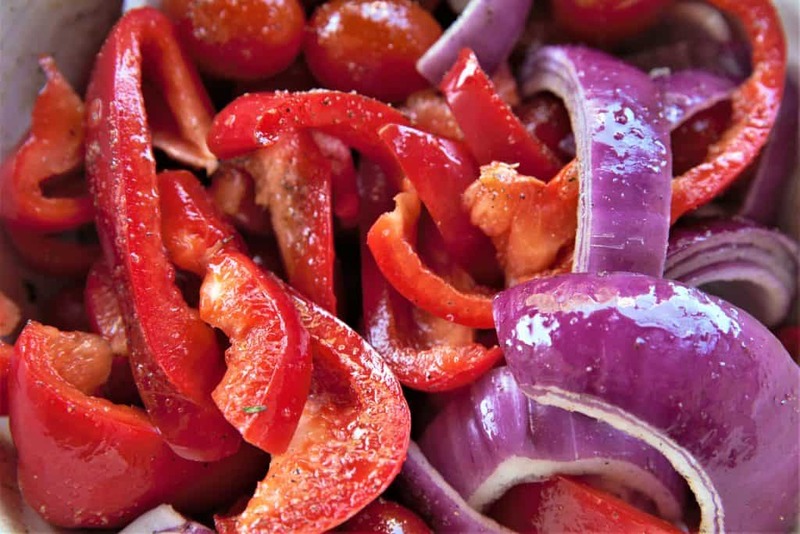 To add to the nutritional value however, we added grilled peppers, tomatoes and red onions. The combination is yum! This dish is ready in 45 minutes, and will make you feel like a super chef. Vegan, gluten free and dairy free. I have only used this grill outside, but it is fabulous. It heats evenly, is easy to clean and simple to put together. This is my new favorite cooking gadget in summer because, doesn’t everything taste better grilled? 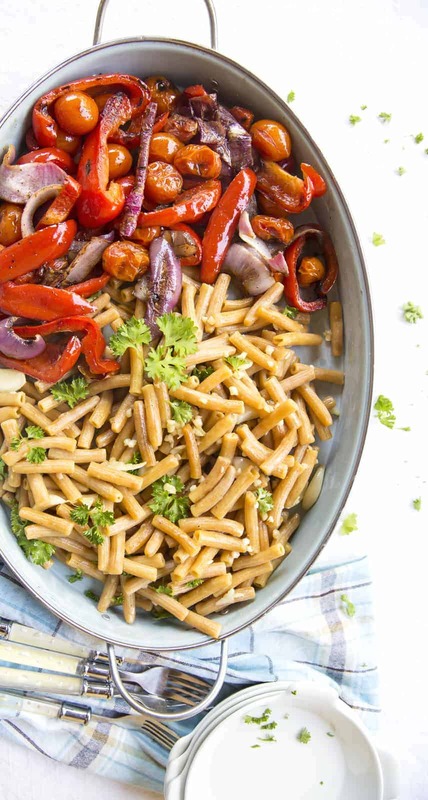 Garlic Lentil Vegetable Pasta is packed with protein and flavor. Add olive oil, salt, minced garlic to pan. Saute cooked lentil pasta for 3 minutes in oil and spices. Turn off heat and let sit 10 minutes. 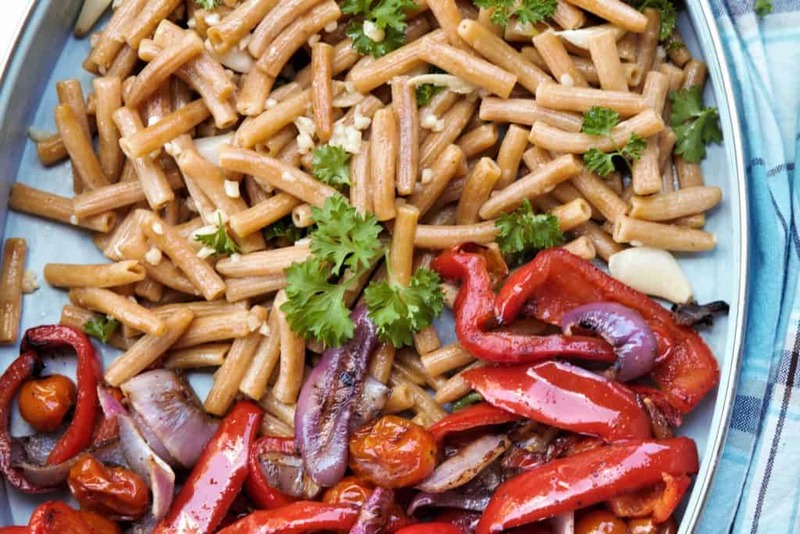 Add fresh parsley to lentil pasta immediately before mixing with grilled vegetables. Slice vegetables and place in large bowl. Add salt, pepper, olive oil and mix. Oil grill with olive oil to prevent sticking. Heat grill to high. 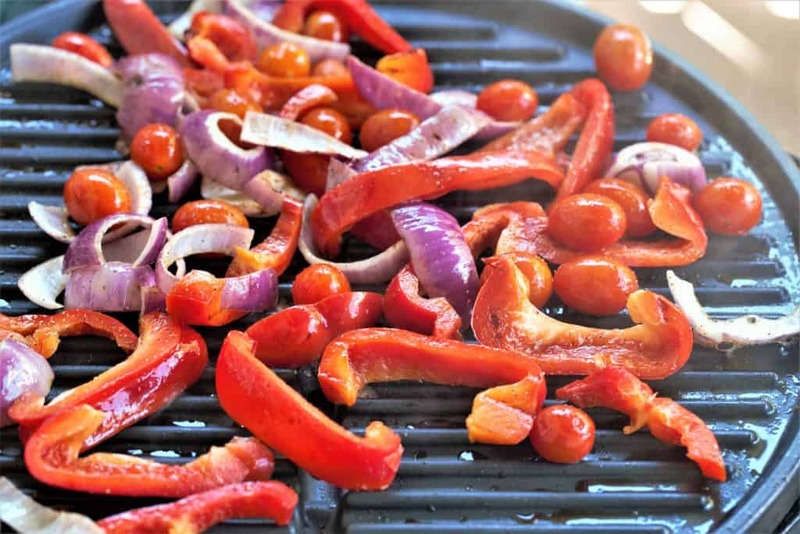 Place vegetables on grill and let cook for 3 minutes or until you see grill marks. Flip vegetables and turn heat down to low and cover. Let cook for an additional 5-7 minutes or until vegetables are tender. 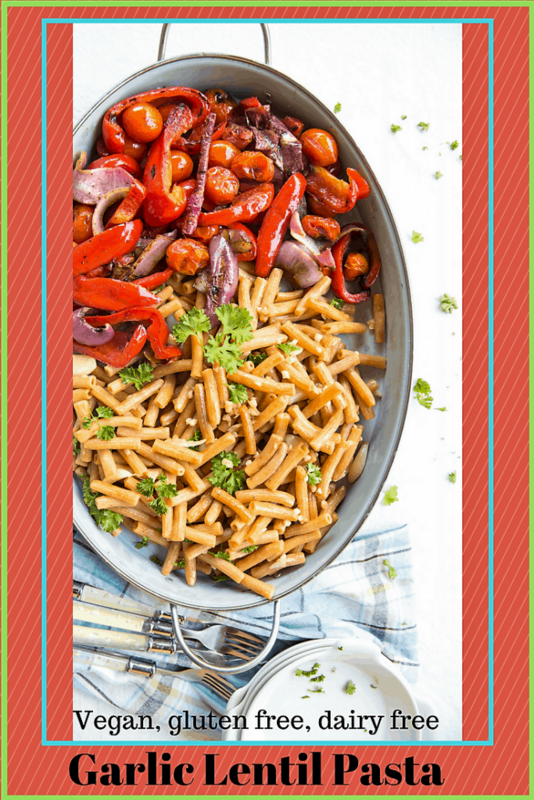 Remove vegetables from grill and add to lentil pasta. Mix well. If you don't have time to grill, you can roast the vegetables in the oven at 375 for 20 minutes after mixing with olive oil and spices.